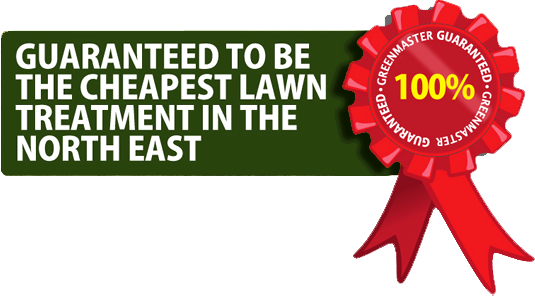 Greenmaster Lawn Care provide a wide range of services and options to ensure that you have a thick, green beautiful lawn. Our lawn care experts will be delighted to come out and assess your lawn and provide you with a FREE comprehensive written analysis report showing you exactly how we can transform your lawn. We will also provide you with a NO OBLIGATION quotation for the transformation. Our most popular service consists of five visits during the spring, summer, autumn and winter seasons. This ensures that your lawn is given the nutrients and care it needs to become lush, green and thick. Our customers particularly like this plan because the costs can be spread on a pay as you go basis. March/April: Spring is the start of the growing season and is therefore a very important time for your lawn. 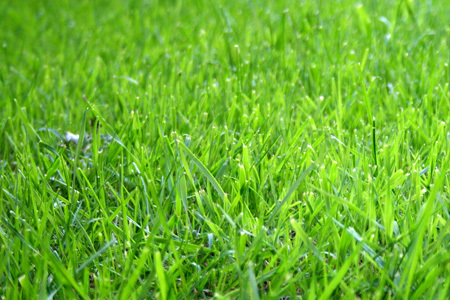 We give your lawn the vital kickstart that it needs. We apply a high potash and potassium fertiliser to build lawn resistance and develop strong roots. Nitrogen is also added to ensure a thick, green appearance to your lawn which will be visible in just a few short weeks. We then apply a weed killer to get rid of those unsightly weeds and prevent further weed growth. May/June: Now that your lawn is more vibrant, healthy and green we add high nitrogen fertiliser to retain it’s vibrant colour. This is a scorch resistant fertiliser which will give it vital protection over the summer months. You will also notice that there are less weeds in your garden, however, to ensure that we are eliminating them from your lawn we apply another course of weed killer to tackle any remaining weeds and prevent growth of more in the future. You will be ecstatic with how good your lawn is looking so far. July/August: This is traditionally the hottest time of the year and we want to make sure that your lawn is still the envy of your friends and neighbours and is retaining it’s lush, green look, so we apply a scorch resistant fertiliser with high nitrogen. This will maintain a rich, green lawn even it is particularly warm and dry. By this stage your lawn should be completely weed-free but just to make sure, we carry out a spot treatment of any new or remaining weeds. September to November: This is a very important treatment as we prepare to protect your lawn during the autumn months. To do this we add liquid fertiliser which is specifically designed to keep your lawn looking lush and green. We then apply a specialist lawn tonic which is sprayed over the lawn to improve the mineral balance in the soil. Finally and very importantly, a moss killer is sprayed over the lawn. You will see your moss change colour and start to die off. December to February: We dont forget about our lawns throughout the winter. During these dark cold months moss is thriving due to the ideal weather conditions. We apply a moss control which keeps the moss in check even though the grass is dormant. This has the added benefit of a winter green up which protects your lawn from disease, setting you up perfectly for the spring.